I absolutely love my job! I get to spend the day reading to kids, reading with kids and doing everything humanly possible to get them to recognize the importance of reading… and get paid to do it! But what type of reader do you have in your house? Those who are good at reading and love to read. Those who are good at reading, but yet “don’t like” to read. Those who struggle with reading and do not like to read. Although he doesn’t read nearly as much as I would like him to do… I secretly giggle when his Sports Illustrated for Kids magazine comes and he reads it cover to cover. Or when he “had to read” for a class and I put a sports biography in his hand… He reads it beginning-to-end long before it’s due. This is the type of kid that will read if he has the right material. Pay attention to what they read and what books/magazine that they talk about. Many boys prefer to read non-fiction: informational books, biographies, how-to books or stories that are short. 3) There is the kid who doesn’t like to read… mainly because it’s hard for them. And let’s face it… most of us don’t enjoy doing something that is hard for us (for me…exercise comes to mind… ;)). Parents of this child… stay strong my friend, stay strong! You know reading is important, but… you have a child in your house who didn’t get that memo, or worse… doesn’t care about the memo… and you are ready to pull out your hair getting this kid to read! Continue doing everything you’ve been doing, and I know you’ve tried plenty… but here are a few reminders and tips. 1) Set aside time to read at least 4-5 times a week. Yes…this will be a struggle since they’re going to buck you. Be consistent… this should be a non-negotiable. These are the types of kids to set page goals with, not minutes. They will know every trick in the book to waste time. By setting a page goal of say… 5-10 pages per day, this gives them some power. When the pages are read, they are done for the day. Trade time for something they love to do… certain number of pages read translate into minutes to spend watching TV or playing video games. Or so many books read= a trip to McDonalds or a park. Or just down and out bribe them…(yes I went there…) there are some summers I have paid a buck a book that was read (with guidelines). But some times, desperate times call for desperate measures. 4) Have “reading parties” where every one brings a book and snuggles in a spot to read their book. Sometimes just snuggling in next to mom or dad is enough motivation to read for a while. 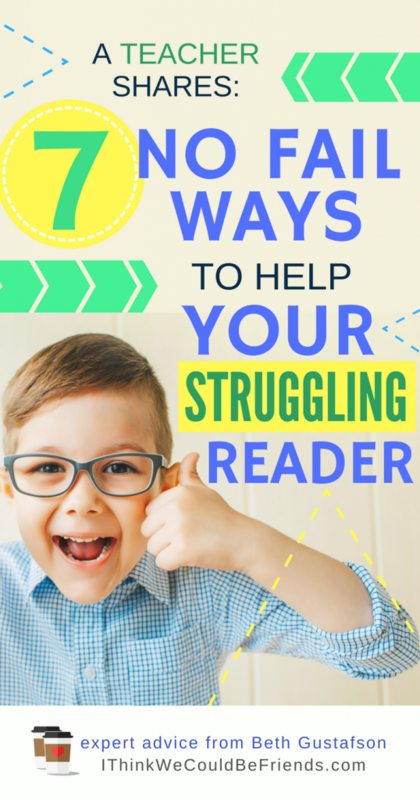 5) If your struggling reader has a younger brother or sister, you have just scored big time! Get them to read to their younger sibling(s). Have them read a picture book. This means the stories are usually shorter (and less intimidating) and probably at a lower reading level (which will make them feel successful when they read it). They get practice reading and the younger sibling gets the benefit of being read to… also very important! 6) Make sure your struggling reader is reading books that are interesting to them. Kids will read “above their reading level” if they find the book interesting. But also keep in mind not all of their choices will be high quality literature. (Did the book Captain Underpants pop into anyone else’s mind?) At this point, the goal is to get them reading… and the best way to do that is make sure they are interested in what they read. 7) If the book your kid is reading (and enjoying) is part of a series, try sticking to the series. A series gives your reader the same format, the same characters, and often the same setting for several books. These familiar things will help them understand the story more quickly. Dave Pilkey (Captain Underpants series) & Jeff Kinney (Diary of a Wimpy Kid series) Don’t judge… remember desperate times…desperate measures! And every single one of my struggling readers will read these. In fact it is because of the HUGELY popular Diary of a Wimpy Kid series, that book publishers stood up and took notice (and in a hurry) that kids like books with lots of pictures. **Warning for conservative moms like me: There are some graphic novels that are shortened versions of popular fantasy series… and the pictures in these are well… graphic (pun intended!) Sometimes I don’t want to put these images into my kid’s imagination. It’s a good idea to flip through this type of graphic novel before putting it into your kid’s hands. And I could keep rambling on and on about books and authors, but I want to know some of your book suggestions and tricks to use with the readers in your family…please share below! Lovely article, will surely work on this. I’m really enjoying these tips you are suggesting for teachers. I believe counselors can benefit from these tips as well. Keep them coming! !! So glad to read your encouragement on this topic! As a reading teacher myself I know the value of the parent’s persistence when there is a child who struggles to learn to read. It sounds extreme, but a parent’s choices and persistence in this period of struggle will often make or break a child’s educational future. The We Both Read series is good for students not as far along as some of these suggestions. They have both fiction and non-fiction and books at different levels. 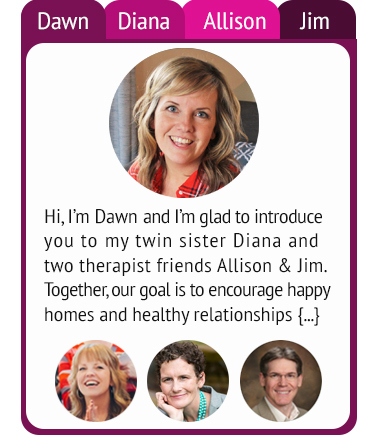 This is the featured pin on tomorrow’s pin it party on Your Modern Family. :) Love it! Wow, this is a huge help! My oldest fits the first description, but I know that all of my children will not be this way. I love your suggestions for reading material. Thanks for adding it to our pin-it party! I am blessed to have a boy who not only found it easy to learn to read, but who loves it as much as I do. We read together all the time! Thank you for linking up at Skip The Housework Saturday! I have two in Category 1 and one in Category 3. He “hates” reading, but started to make good progress when we implemented the read every day rule for 30 minutes. Sometimes we trade reading, but for the most part he is now doing it on his own. He hasn’t latched on to a type of book, but there is still hope. Thanks for the tips. I really enjoyed this post. I’m lucky in that my eldest is in the number one category on your list – he devours books. It took work when he was little though, not hard work but parental help. I used to read to him all the time and we did nice little activities such as writing the menu each night for dinner on a chalkboard, writing shopping lists together and, as I now do with my youngest, labelling everything around the house! Even our toilet has a post it note on it! I home educate my children now which means that we have the luxury of visiting the library every day, they are used to books. That is my number one tip – visit the library with your children. Make it a fun experience and they will enjoy being in the book filled interior. Comic books are pretty handy too! Thanks so much for a great post. This is great! I’m pinning on my “stuff for parents” board. Mais essaie de penser un peu plus positif en étant un peu indépendant. J’ai essay茅 les deux mod猫les pr茅c茅dents. Et c’est beaucoup moins encombrant qu’une 茅charpe de portage.